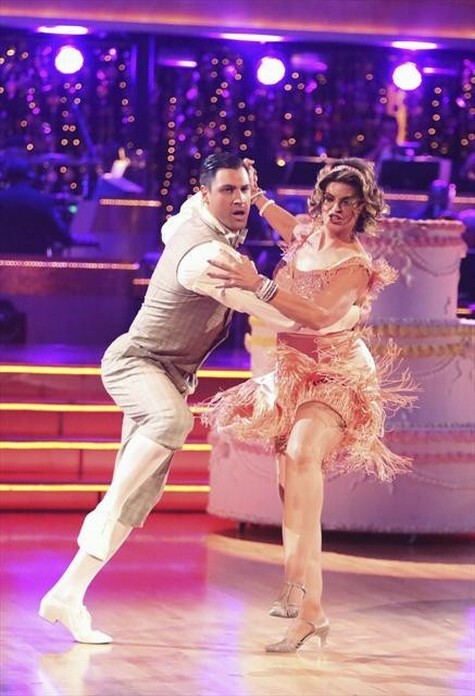 Kirstie Alley danced the Quickstep for her dance on DWTS Guilty Pleasures Week. Kirstie and Maks chose to dance their quickstep to her guilty pleasure song“Mrs. Robinson” by Simon & Garfunkel on Dancing With The Stars All-Stars 2012 Season 15 tonight. If you missed the show, we recapped tonight’s show for you and if you want to see how all the couples did go HERE! Dancing with the Stars continues tomorrow and the four couples who performed their Team Dance on Monday night will dance their individual dances to their selected ‘guilty pleasure’ song, and the other four couples will take their turn on the dance floor with their Freestyle Team Dance. Monday and Tuesday night scores will be added to the following week’s scores and votes. Watch the video below and let us know what you think of Kirstie’s performance? Do you Kirstie did enough to keep her around next week? Sound out in the comments below!